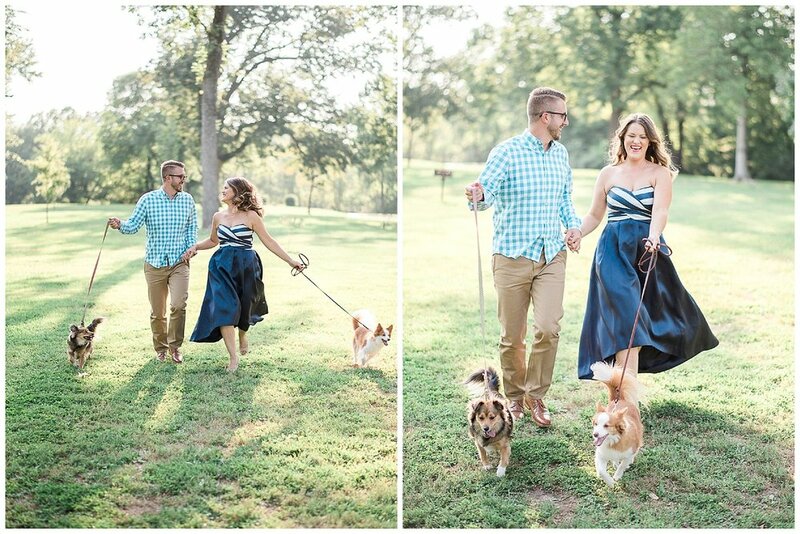 We met up with Abby and Austin at a local park just hours before sunset. It was such a gorgeous evening! Abby, a talented florist, had clearly put a lot of thought into the aesthetic of their photos – from carefully selecting locations of significance to incorporating meaningful “props” (i.e., a gorgeous bouquet and their adorable puppies) – she had a plan and we were ready to roll with it! 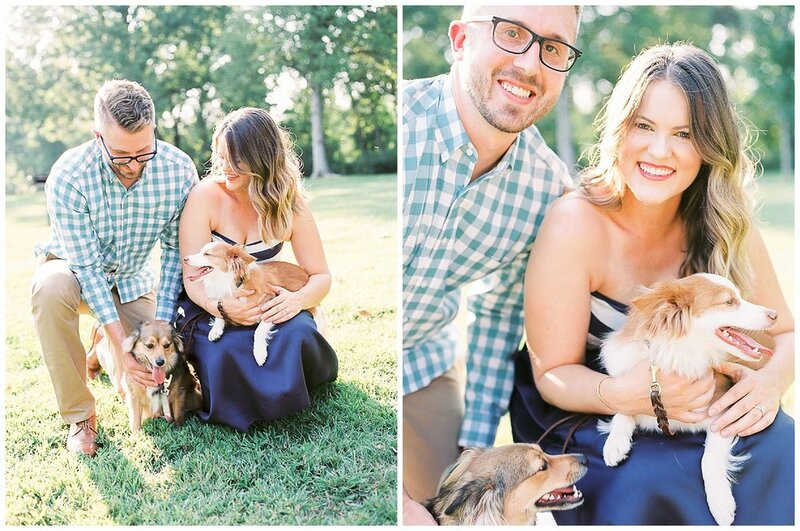 We began our session with some candid play in the park, but the most fun was had when they brought their sweet pups Stan and Annie into the mix. 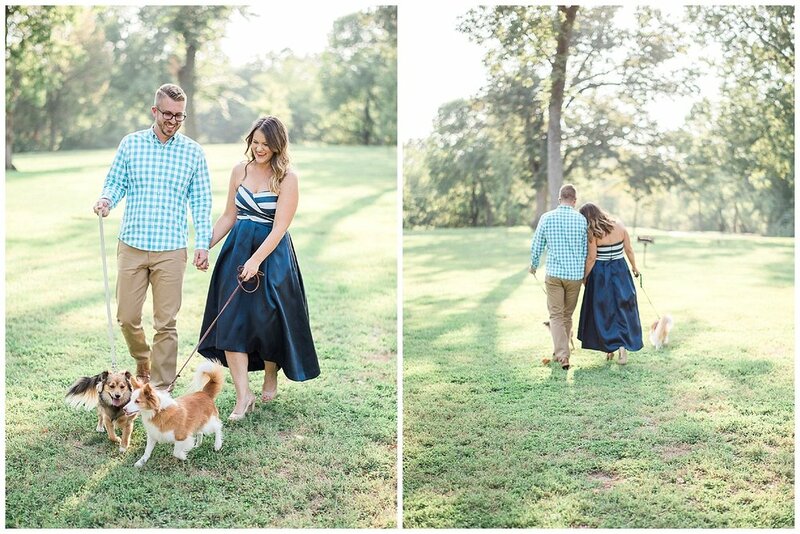 Is there anything better than incorporating your fur babies into some of the most meaningful photos you will ever take? From there, we incorporated a stunning bouquet (that Abby created herself (and we followed the couple as they explored different areas of the park – basking in beautiful light and stopping to capture sweet embraces. Before we lost all of the daylight, we decided to head over to the restaurant where Abby and Austin had their first date. 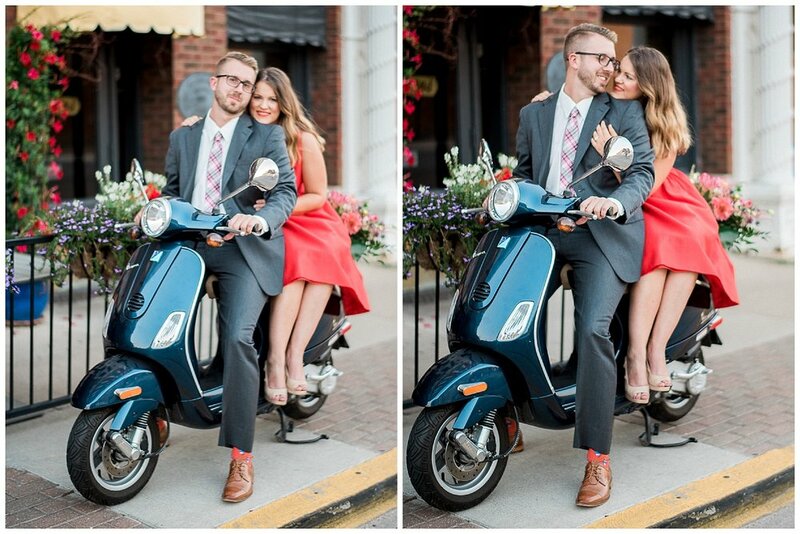 Abby, with her Vespa in tow, adorned a gorgeous red dress which happened to mesh perfectly with the bouquet and Italian-themed scenery of the restaurant. These were the last photos we took that night and they happened to be the bride’s favorite. 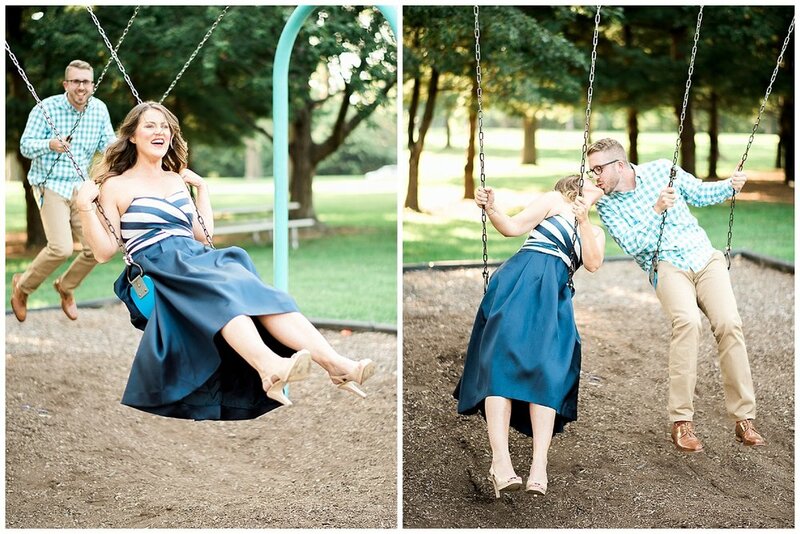 There is nothing more rewarding than making your couple’s visions (successfully) come to life!